The new issue is out. 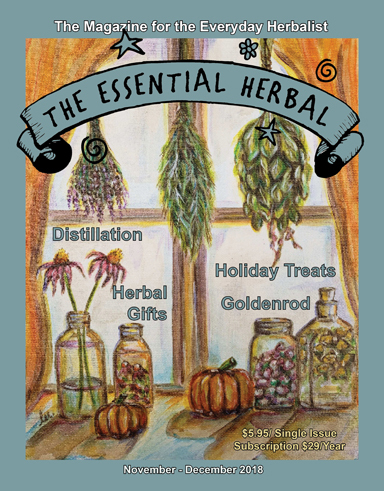 Lots of great ideas for holiday gifting and entertaining, as well as winter wellness and herbal information. Order gift subscriptions easily from our website. Just give the recipient's name and address in the shipping address, and yours in the billing address. Leave any message for the giftee in the comments section, and we'll include it on a gift card. Get a subscription for yourself! Some rough seas in the herb world, but we can always count on the plants to show the way. Oh, and keep an eye out for my next book! Some ideas for enjoying the holidays with family, and a couple of recipes too. Herbs add their meanings to the Advent wreath. Goldenrod is such a generous, loving plant. Learn how to experience the benefits it has to offer. A lovely, savory treat, perfect for holiday entertaining. Fabulous ideas for putting together gift baskets for loved ones. You’ve got it in the house… Now what? something we need now more than ever. Did you miss out on Latin classes in school? Here are some tips to help. Learning new plants to love across the continent. it works, so I finally wrote it down. A new thing – we’re including a page about the writers included in the magazine. 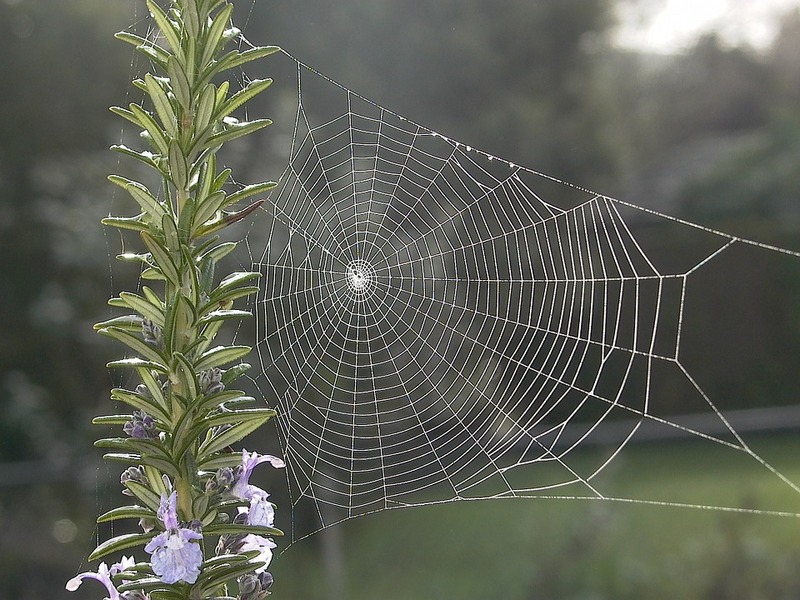 A plant with many uses, hyssop is an asset to any garden. Find out why! Gather some of those nasturtiums! First, we’ll clear up some confusion. 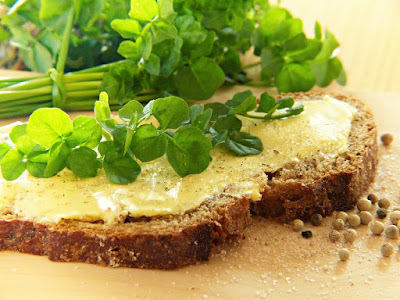 Watercress is an aquatic plant species with the botanical name Nasturtium officinale. We’ve tried growing it in the creek here, but it keeps washing downstream. It looks nothing like the plant we are talking about today, but also has a very peppery taste which is probably the root of the issue. In fact, in England during the 1600’s, nasturtiums cultivated in the gardens, and called “Indian Cress” due to the similar peppery taste. 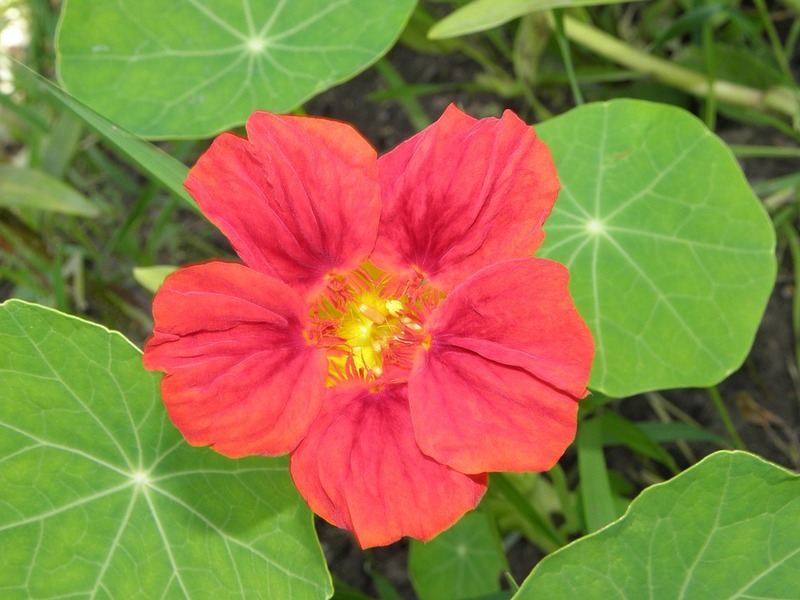 Today, we’re talking about Tropaeolum majus, an easy-to-grow annual whose leaves and flowers are edible. In fact the whole plant is edible, including the seeds! It comes in a range of colors, from the buttery-est yellow to the most blazing scarlet. Creamy apricot, and variegated shades of bright orange are among the shades often available, but most often they are deep orange and yellow. 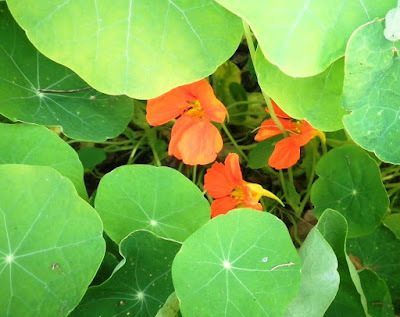 When we visited the kids in California, nasturtiums were everywhere – wild! We first spotted them while crossing a little hollow on a foot bridge. Looking down, the jewel tones shone up at us on what were apparently vining (in a search for light) nasturtiums. They will grow anywhere, apparently, although for areas that freeze in winter, they are annuals. They often, but not always, self-seed. The phrase, “Be nasty to nasturtiums“, is sometimes used for how to care for them. Give them lousy soil, intermittent moisture, and a little light, and they are happy. The nasturtium plant is surprisingly useful medicinally. The leaves, in particular, and especially before the flowers appear! That’s good, because the flowers make a great garnish, salad ingredient (so do the leaves) or stuff them with guacamole and sit them on a nacho chip! The whole plant is high in vitamin C, beta carotene and also contains vitamins B1, B2 and B3, as well as iron, calcium, phosphorus and manganese. There are also an abundance of carotenoids and flavionoids - compounds that boost the immune system and protect against carcinogens. Nasturtium combats fungus, infection, viruses, and bacteria. Providing expectorant, and sedative, benefits. In a tincture or vinegar it provides good disinfectant properties. In Germany, Angocin Anti-Infekt N is a prescribed antibiotic having only nasturtium and horseradish root as ingredients. Be sure to make some tincture or vinegar this year. Or, make and freeze some pesto. Enjoy the many ways we’ve gathered to use them! Blanch the leaves in boiling water for 10 – 15 seconds. Drain and plunge into ice water to cool. Dry on tea towels. Place leaves, walnuts, cheese, garlic, and oil in the jar of a blender; blend until smooth. If desired, add a few drops of hot sauce. Goes great on pasta or baked potato. Garnish with a flower! Perhaps a hair rinse: Mix equal parts lavender, nettle, nasturtium and rosemary into double the amount of water by volume – if you use a cup of herbs total, use 2 cups water. Bring to boil, then turn off the heat and steep in a closed pot for 15 minutes. Allow it to cool and then strain for use. Massage into your scalp before rinsing out. Refrigerate any leftovers. 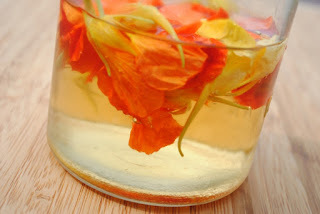 I make a variety of vinegars and Nasturtium Vinegar is my favorite. It seems to go with anything. Gather Nasturtium leaves, pretty well packed, with an occasional blossom, if desired. Pack into a jar, add white vinegar, cover, and let set in the sun or other bright place for at least 3 weeks. Then strain and decant into your favorite vinegar cruet. And a dear memory: Several years ago a friend came to visit me in the hospital. She brought me a bouquet of Nasturtiums from her garden. The scent lingered for a long time and I was even able to bring that scent home. I'll always remember that incident and my friend's kindness. More than a few years ago, my husband and I stayed in a B & B on the Oregon coast. Combine the lettuces, red onion slices, and some raspberries. Gently toss. Top with more raspberries and the nasturtium blossoms. Serve with the dressing on the side. Note: Blueberry Jam for the dressing, and fresh blueberries also make a delicious salad! In a bowl, beat the cream cheese, nasturtium flowers and horseradish until well blended. Serve with crackers or bread. Yield: 1-1/2 cups. For a beautiful presentation, serve this on a plate lined with nasturtium leaves, garnished with whole flowers, fresh snipped chives and/or dill sprigs. A fresh loaf of crusty, country-style bread is the best accompaniment; however rye or pumpernickel bread, pitas or thinly sliced bagels are good, too. Makes 6 servings. Dice eggs and place in a bowl. Add mayonnaise, mustard, chopped pickles, pickle juice, onions, celery, 1 tablespoon chives, 1 tablespoon dill leaves, paprika, salt and pepper. Toss well to blend. Stir in shredded nasturtium leaves and flowers. Refrigerate 30 minutes before serving. To serve, let salad stand at room temperature for 5 to 10 minutes. Arrange nasturtium leaves on a platter and heap egg salad on top. 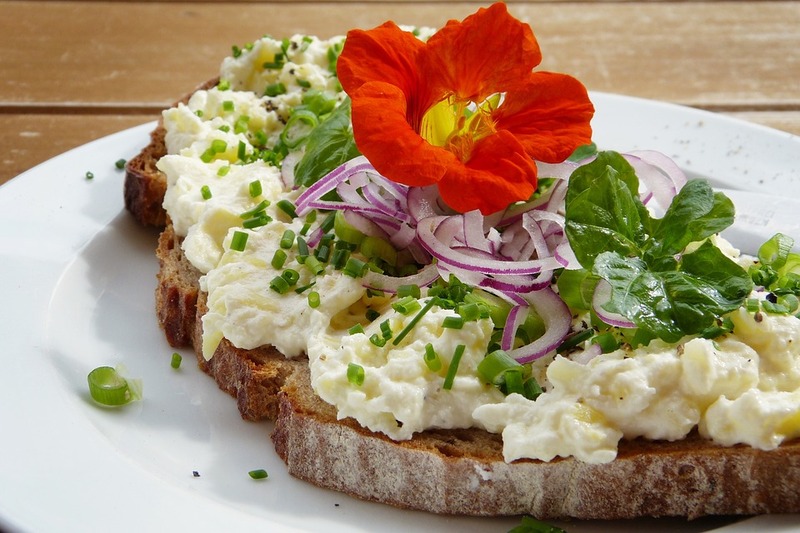 Garnish with whole nasturtium flowers and remaining chives and dill, and serve immediately. Take all these with a grain of salt! -Thyme, in any form will cure gout,shyness and hangovers. -A raw onion, eaten one hour before bedtime, will cure insomnia. 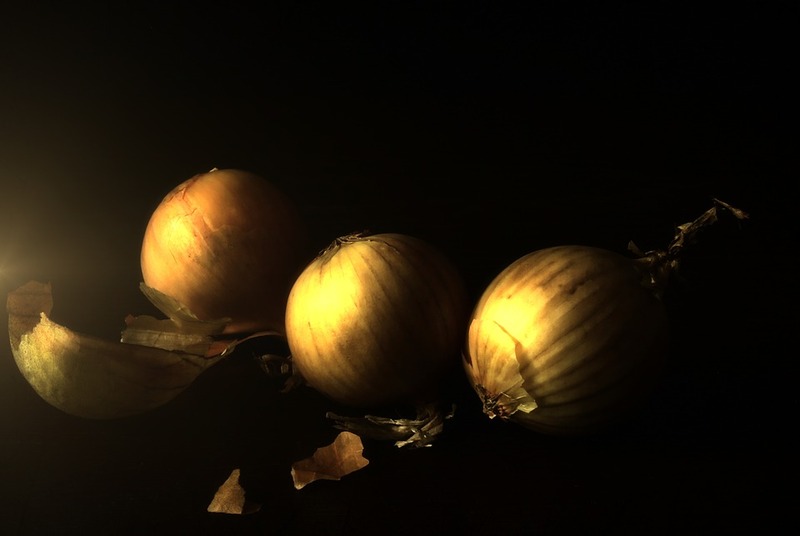 -Fennel and dill seeds were chewed by some Colonial church goers to quell the smell of alcohol-these “meeting seeds” also helped keep them awake during long services. 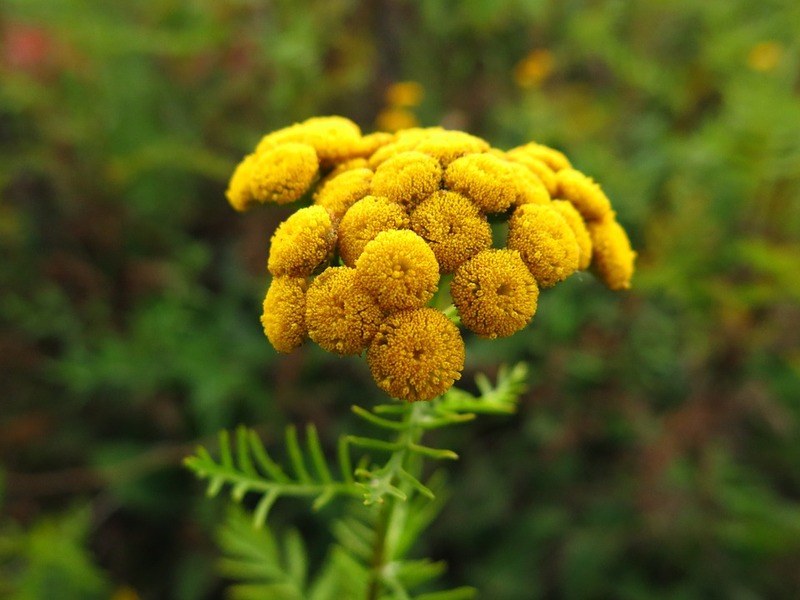 -Tansy was used as an insect repellent; as was pennyroyal and the leaves of lemon verbena. -Chewing cumin seed prevents gas- take before eating beans of any kind. 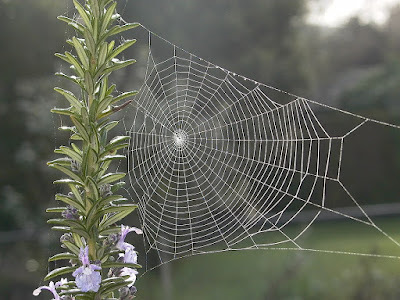 -Where rosemary grows, the woman heads the household. -Plant fennel by the kennel- it keeps the fleas away. -A sprig of sage in the groom’s pocket promises fidelity. 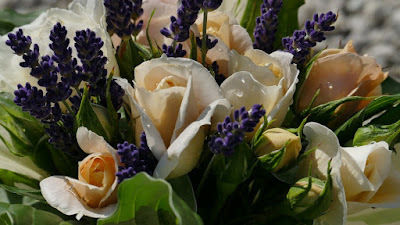 -A sprig of lavender in the bride’s bouquet insures devotion. -In ancient times tables were scrubbed with mint to cleanse, disinfect and polish. -Chew a sprig of parsley to prevent drunkenness. -Soak golden raisins in gin; take 7 per day to ward off arthritis. -A pot of bayleaf on the porch protects against lightning. 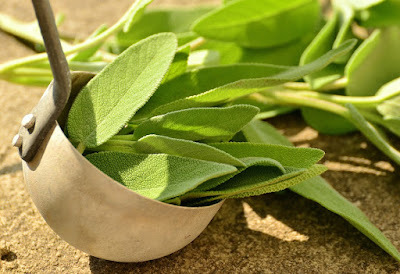 -Chew on a tarragon leaf to get rid of hiccups. 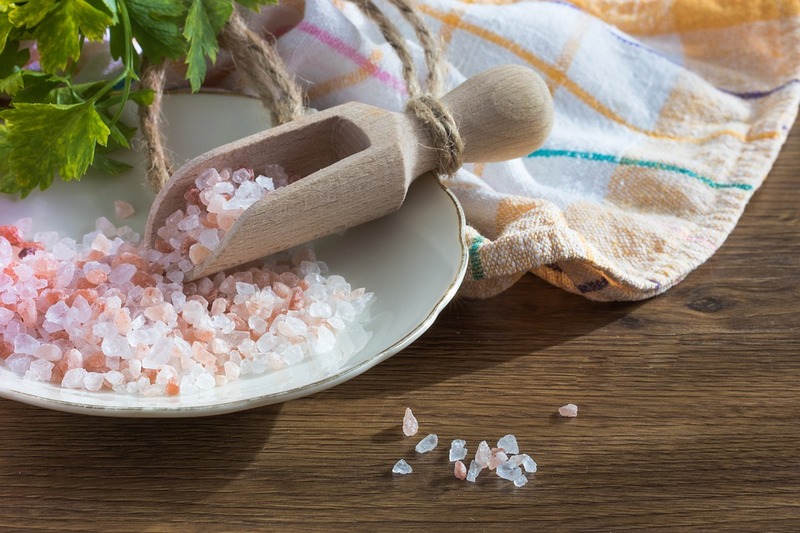 -Necklaces of savory were once worn to prevent drowsiness. -Rinse hair with rosemary water to improve memory. -Sage tea, with lemon and sugar will cure the common cold. No one knows if these “old wives’ tales” really work but it can’t hurt to try.